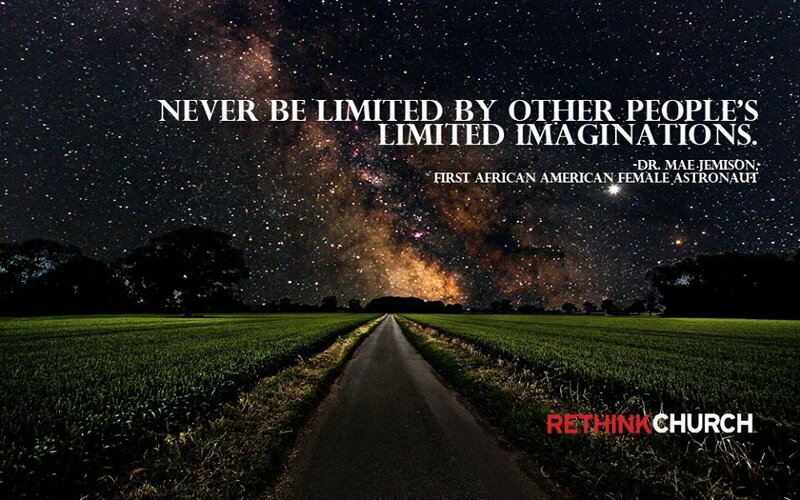 Are we limiting ourselves? I began 2015 with an extraordinary vision of the Pascack Valley being a community where diversity was celebrated. All diversity - diversity of thought, race, religion, gender, love - celebrated. The Pascack Valley could be an living example of life in God's kingdom on Earth to a never-changing "us/them" world. But throughout January I was told that the Pascack Valley is "just fine with diversity, thank you for caring, though". So, as the snow fell and I sat in my home, I began to reframe my vision, thinking that perhaps I've had it wrong all along. Then I saw this quote - am I limiting myself? I honestly don't know. Without a team to help me formulate the questions, to help me research the answers, to help me develop the projects to bring about local social justice ... it's hard to know if I'm on the right track. I've always believed no one person has all the answers. Let's together build an unlimited vision and together make it so. Will you join me? Will you tell me your visions? Will you let me help you with your unlimited vision of creating Heaven on Earth with God's guidance?